There is mass exodus of Hindu families from the town of Kairana in western Uttar Pradesh and it has been a sad news circulating in the social media for past few days. But none of the mainstream media picked up the story or ran it in the news despite the reports that over 350 families have been forced out of their homes from Kairana in western UP. Apparently, the Idea of India and national integrity, secularism etc doesn’t matter to the communist cabal in the media when Hindu lives are at stake. Media ran a story of a cattle thief being killed because the police was not taking action at all for over a month because the thief was a Muslim. 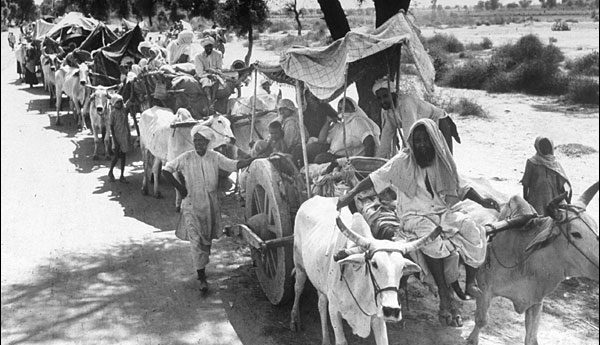 But now 350 families or nearly 1500+ Hindus have been forced out of their homes from the Kairana town of Uttar Pradesh by the Muslim majority of the town but it has been consciously ignored by the mainstream media. Despite using Hindu sloganeering to come to power during elections, BJP too has conveniently forgotten its promises to Hindus after elections and has left them to rot. The recent example for this trend is the way BJP has behaved in the recent Kairana exodus of Hindus from Uttar Pradesh. Bjp, true to its secular credentials and new found minority love and development agenda, has decided that thousands of Hindus being displaced from Kairana is not worth its time nor attention and hasn’t called on the State government to take action yet nor has it made it an issue yet in the country. Somehow, 300 Hindu families being driven out of their homes is not worth their time. If it had been any other community – Christian or Muslim, there would have been massive out rage by now in the communist and human rights cabal of India and the mainstream media. But since the victims here are only Hindus, they have as usual kept their mouth shut and are consciously avoiding any mention about the exodus of Hindus from the town. This is just Kashmiri pundit saga all over again, with Hindus being driven out of their home towns as soon as they reach minority and Muslims reach a majority, just like it was in Kashmir. While it is expected that the Hindu hating communist and Congress cabal is not going to help Hindus or even squeak about it, the silence of BJP on this issue is even more pathetic. Either BJP seems to have forgotten that it is in power in the central government and is obligated to help the Hindus there, as they are citizens of India or they have sacrificed the tens of thousands of Hindu citizens there in the town of Kairana in the name of preserving peace and secularism. Is this what the bikas bikas bikas of BJP looks like- where Hindu do Bikas and then get thrown under the bus to save artificial secularism so that Muslims can come and take over the generated wealth? Is this destruction of Hindus under BJP’s watchful eyes is how BJP plans on saving Hindu society? Is this the reward BJP is going to give to a state which gave them 73 MP seats out of 80? No self respecting society will allow the mass exodus of their own people in the name of good governance or secularism. The events in Kairana are a sign for the future of western Uttar Pradesh which is sitting on a demographic time bomb due to rapid explosion in Muslim population. Muslims in Kairana town must be made to pay for their atrocities against Hindus there but unless Hindus find a proper pro-Hindu party, they will keep losing their land to Muslims like they are losing since 1947 from Pakistan, Bangladesh and Kashmir to present day Kairana. Next time the secular communist cabal and the media shouts intolerance, remind them that if being intolerant is the only way to save Hindu children, sisters and daughters then it would be better to be intolerant Hindus than to be media pimps who don’t think twice before selling out Hindu society for their ideologies.